Are You Training Your Best? How much FIRE do your workouts have? 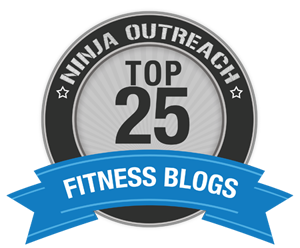 Are you winded between exercises? Do you wish you could just stop for just a few seconds to catch your breath? Do you have a trainer or timer (like the GymBoss Interval Timer) setting a pace for you? OR, do you start your next exercise when you are ready – and stop when you are tired? 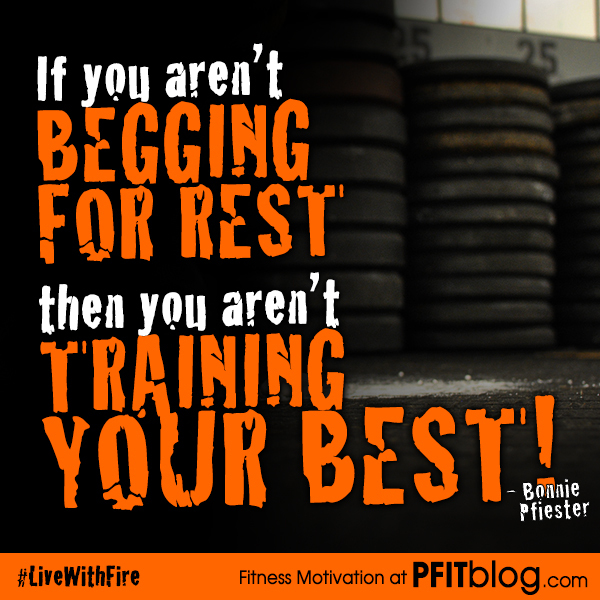 If you aren’t begging for rest, then you aren’t training your best. Learn to push yourself and train outside your comfort zone. That type of training won’t happen on its own. That has to be planned, and even forced. Hi Bonnie! If I workout hard one day & are really sore the next day, is that the best time to take a rest day. Or just do some easy cardio. Sometimes when I do arms, I’m sore for 3 days then I don’t do arms again until the 4th day. I guess I’m not sure how much to push myself if I’m sore. I have a protein shake after my workout, but I was wondering if I should be drinking it with my lunch of some fruit & veggies, even on rest days. I love that quote and might use it sometime. Is it yours? Take care. yeppers! Most of the stuff I post is original, or a quote from one of my blogs, etc. Feel free to share it. Glad you like it! hahaha! you are funny (about the royalties). Have a great rest of your week!!!!! Hey hey you too. Cheers! Got your lovely message earlier. I’m nursing a sore throat (coincidence=stress level)? and wouldn’t have made a good chatster today.